This tough little workboat is ideal for inshore fishing, diving or just having fun on the water with friends and family. There is plenty of room in the cockpit for fishing, diving or water sports toys and the helm is well protected from the elements for those rainy spells. With a Garmin GPS128, a Humminbird High Performance Fish Finder & Humminbird VHF, this sturdy vessel also comes with 3/4's of a tank of fuel. Priced for a quick sale. 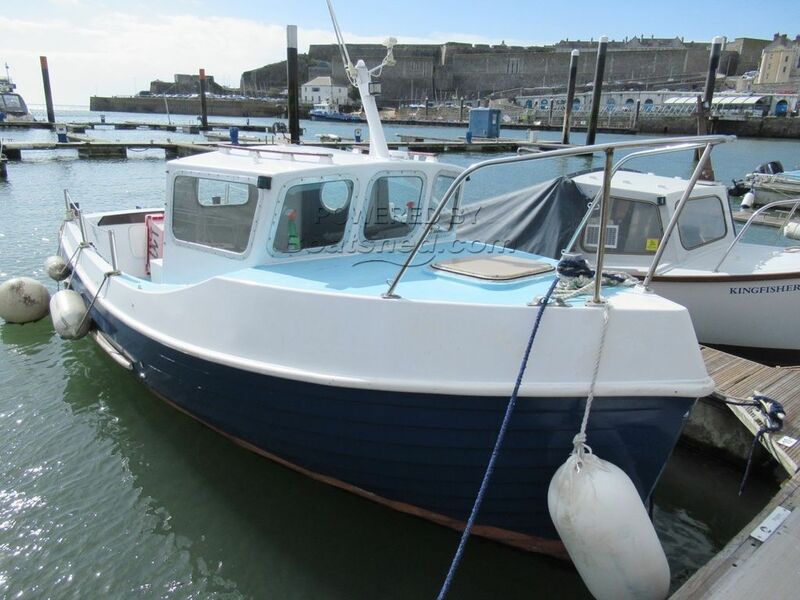 This Tidemaster 21 has been personally photographed and viewed by Jo & Billy Hallam of Boatshed Plymouth. Click here for contact details.